Monica Lundy is a Californian artist gifted with an extraordinary technique; she is also, notably, a historian, a detective, a time-traveller and a necromancer. Through assiduous research of archival materials, she unearths vanished paradigms and reconjures them as haunting historical portraiture. Through the séance of art-making, she is able, effectively, to raise the spirits of people and places long since faded into obscurity and empower them to whisper their truths into contemporary ears. The material virtuosity with which she accomplishes this feat is something to behold. In the ten-plus years I have been writing about her work, I have marvelled at the invention with which she finesses, wrangles, and sometimes flat-out strong-arms disparate media into sumptuous celebrations of time, memory, decay, and transformation.' - Essay by Richard Speers. In 2016 Monica Lundy collaborated with Stoney Road Press to produce new carborundum and gesso prints which explore the history of a number of psychiatric patients from Bethlem Royal Hospital in London during the 1800's. Bethlem: Bethlem Royal Hospital, founded in 1247, was the first institution in the UK to specialise in care for the mentally ill. It’s one of the most famous, and infamous, psychiatric institutions in history. The word 'bedlam' was derived from the hospital’s prior nickname, which it acquired around the 14th century, for its infamously inhumane treatment of patients (including torture, neglect and putting patients on public display for profit). The early 19th century brought about shifting social attitudes regarding how the mentally ill should be treated, and the function of 'insane asylums' (also referred to as 'lunacy reform'). In Victorian times, Bethlem Royal Hospital sought to treat only 'curables' (as opposed to 'incurables'), and worked with photographer Henry Hering to take before photographs of patients. Hering then photographed the patients after their release, when they were considered 'cured'. Hering documented patients throughout the 1850’s. William (1857) and Harriet (1858) are based on Henry Hering photos of two patients from Bethlem Royal Hospital before their medical treatments. Peppercanister Gallery will present an ensemble of the very best Irish and International artists at this year’s VUE Contemporary Art Fair at the Royal Hibernian Academy in Ely Place, Dublin 2 from 3 – 6 November 2016. 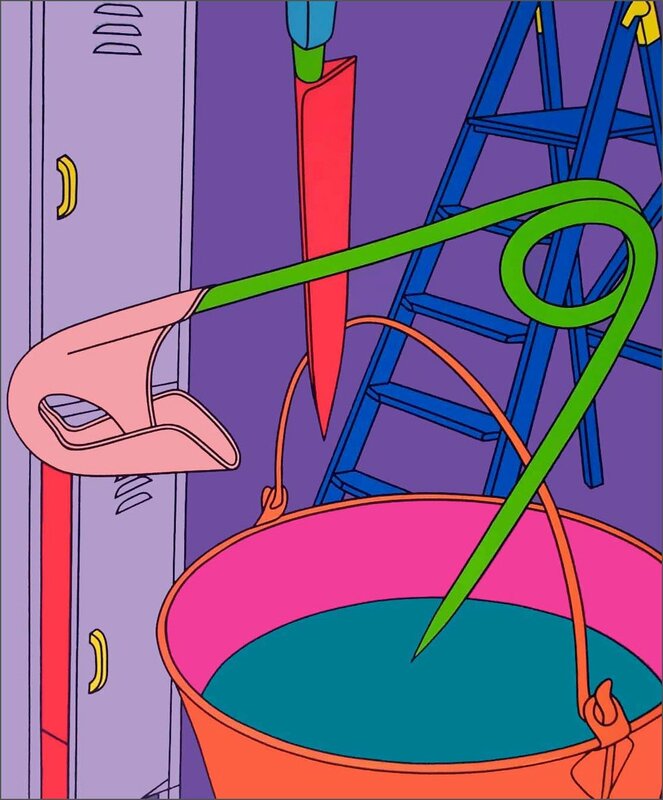 Amongst the many illustrious artists on show is Dublin born Michael Craig-Martin CBE RA. Over the past forty-two years Craig-Martin has exhibited in many of the world’s most prestigious galleries and museums, and he is acknowledged as having been an influential teacher at Goldsmiths College, London. His many well known former pupils includes Damien Hirst, whose powerful work The Souls On Jacob’s Ladder Take Their Flight will also be available for sale at the Fair. A beautiful pink butterfly on a black field, this iconic image takes its inspiration from the writings of Hans Christian Andersen, as well as the artist’s recurrent central theme – his obsession with life’s impermanence. Other notable International artists on view include the renowned American artist Julian Schnabel, Scottish sculptor David Mach RA, as well as the late Albert Irvin OBE RA (1922-2015), remembered for his love of life and wonderfully exuberant paintings, and represented by Salcot, a very special work from 1988. As ever the Peppercanister presents an exciting selection of Ireland’s leading artists with exceptional new works from Liam Belton, Graham Gingles, Ciarán Lennon, Deirdre McLoughlin, Neil Shawcross and Andrew Vickery also included. In March 1866, 150 years ago, French poet Charles Baudelaire suffered a massive stroke and that year marked the end of his creative genius. He was to die a year later. The poet inspired so many other artists of his generation, poets, musicians and painters like Manet. This year at Vue, the Olivier Cornet Gallery will be presenting a themed group show inspired by Baudelaire’s very famous poem 'Elevation'. The show will feature new work by Annika Berglund, Hugh Cummins, John Fitzsimons, Jordi Forniés, Conrad Frankel, Bradley Gray, Claire Halpin, Eoin Mac Lochlainn, Miriam McConnon, Yanny Petters, Kelly Ratchford, Freda Rupp and Adrienne Symes. This year Hillsboro Fine Art will showcase works by emerging Irish contemporary artists Leah Hewson, Gerry Davis and Edwina Bracken alongside some of Ireland’s best known painters and sculptors including Gwen O’Dowd, Patrick Graham, Eilís O’Connell, Jonathan Hunter, Patrick Hall, Michael Warren, Corban Walker, Eddie Kennedy, Paul Doran, John Gibbons, George Warren, John Noel Smith and others. Major international artists will be well represented too with new works from Sandro Chia, Markus Lüpertz, Tim Scott and Enzo Cucchi. Ireland's most talented visual artists will compete for the biggest prize in Irish contemporary art at Vue 2016. The artist Richard Gorman has been named as the first winner of the Savills Art Prize, a new visual arts award worth €5,000, presented by Savills auctioneers at the opening of Vue 2015, Ireland’s contemporary art fair, tonight. Gorman is one of the country’s foremost abstract painters. About 20 galleries from throughout Ireland are participating in Vue, which takes place over the weekend at the RHA Gallagher Gallery. Born in Dublin in 1946, Gorman has divided his time between Ireland and Milan since the 1980s. He has also worked and exhibited regularly in Japan and Paris. Last year, he became the first Irish artist to design a scarf for Hermes. Primarily a painter, he has also worked extensively in printmaking and, to a lesser extent, sculpture. He will show at Assay One in Milan at the end of November and following that will embark on a new body of work at Atelier Michael Woolworth in Paris. He makes spare compositions with sharply delineated curvilinear forms using areas of flat, perfectly pitched color. He is known for the exceptional elegance and economy of his work, including several series of innovative hand-made paper pieces in which the pigment is soaked into the thick surface texture of the paper. Stoney Road Press features a display of his work as part of Vue. Galleries participating in Vue each nominated an artist as a contender for the prize, based on a body of work produced within the last year, and RHA director Dr Patrick Murphy, who has an extensive track record as a curator of contemporary Irish art, adjudicated. Savills MD Angus Potterton pointed out that there is logic to the property company funding an art prize, as most art is destined not for museums but for home and business settings. Vue began in 2007, in the RDS, and soon ran into the hard years of recession, which stopped the Irish art market in its tracks. It moved to the RHA on Ely Place in 2011. As well as most of the prime Dublin galleries including the Cross, Eight, Gurley’s, Green on Red, Hillsboro, Ibo Jorgensen, Kevin Kavanagh, the Molesworth, NAG, Olivier Cornet, the Peppercanister, the Rubicon, the Solomon, Taylor Galleries and Oonah Young, the Fenderesky from Belfast and Catherine Hammond from Glengarry are also represented. Print specialists the Graphic Studio, SO Editions and Stoney Road Press are also there. Taylor Galleries is delighted to be back showcasing work by gallery artists at VUE 2015. This year the gallery's stand features selected works by David Quinn, Sean McSweeney, Janet Mullarney, Brian Bourke, Patricia Burns, Ann Quinn, Charles Tyrrell, Louise Neiland, Colin Harrison, Makiko Nakamura, Denis Farrell, Maria Simonds-Gooding, Mary Lohan, John Doherty, Bernadette Kiely, Martin Gale, Pat Harris, Michael Cullen and Ruth McDonnell. The gallery at 16 Kildare Street, Dublin 2 shows a selection of contemporary and 20th century Irish painting, sculpture, print and works on paper. Throughout the year it mounts a series of solo exhibitions by gallery artists and two large group shows, one in August and one over the Christmas period. 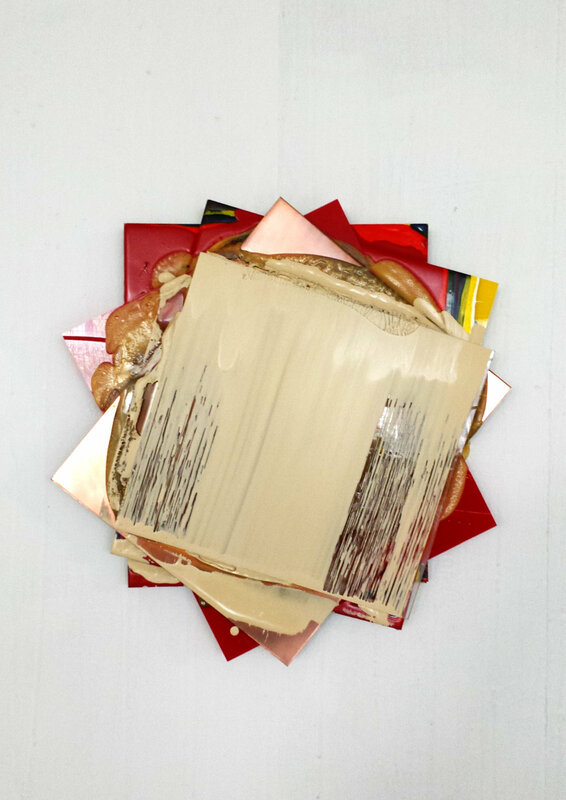 It is also home to LACUNA [ ], an ongoing curatorial project by David Quinn and Sabina Mac Mahon. The gallery’s exhibition space is situated over two floors of a Georgian house which dates from 1759. Taylor Galleries was founded by John Taylor in 1978 and a number of gallery artists were inherited from Leo Smith’s Dawson Gallery, established by Smith in 1944 at 4 Dawson Street, Dublin 2 following his departure from the Victor Waddington Gallery. John, who had worked with Smith since 1964, continued to run the Dawson Gallery until it closed in 1978, opening Taylor Galleries in its place in the same year at 6 Dawson Street. In 1990 Taylor Galleries relocated to smaller premises at 34 Kildare Street before moving up the road to the current space at 16 Kildare Street in 1996. Today the gallery is managed by John and his brother Patrick Taylor. For more information on gallery artists, current and past exhibitions visit www.taylorgalleries.ie or email taylorgalleries@gmail.com with 'mailing list' in the subject line to be kept up-to-date with the gallery's upcoming programme of events. We are absolutely delighted at the gallery with our artists' work for VUE this year and this great collaboration with Fighting Words, the creative writing centre. Here is another great piece by gallery artist Adrienne Symes who has really delved into her own childhood memories for this themed show. Adrienne Symes, 'Carpet Corner', oil on canvas, 20.5 x 20.5 cm. And here is an extract from Kerry O'Sullivan's response in writing to the work. Come to Vue and enjoy the experience. Image: Adrienne Symes, 'Hopscotch', oil on canvas, 25.5 x 25.5 cm. This year is marked by the 150th anniversary of the publication of 'Alice in Wonderland' and Universal Children's Day is celebrated in November every year. With these two events in mind, the Olivier Cornet Gallery will be presenting a themed group show for Vue 2015 entitled ‘Hopscotch’. The show deals with childhood and childhood memories. Selected pieces will be accompanied by text written by a group of young writers reacting to the works, in collaboration with Fighting Words, the creative writing centre established by Seán Love and Roddy Doyle in 2009. The gallery artists participating this year are Annika Berglund, Michelle Byrne, Conrad Frankel, Hugh Cummins, John Fitzsimons, Jordi Fornies, Jason Lowe, Eoin Mac Lochlainn, Yanny Petters, Kelly Ratchford, and Adrienne Symes. Michael Kane at RUBICON "few are angels"
The Molesworth Gallery is one of Ireland's leading contemporary art galleries, representing some of the most accomplished and exciting artists working in the country today. We host eight solo and two curated group exhibitions annually at our gallery space in Dublin’s city centre. Exhibitions are documented in gallery publications ranging from brochures to hardback books. We also collaborate with arts centres and museums to maximise public access to the work of our artists, as well as promoting them at international art fairs. The gallery covers the ground and first floors of a large Georgian house in Dublin's city centre. A changing display of work by gallery artists may be viewed in our upstairs exhibition space. John Boyd was born in Carlisle, England in 1957 and studied painting in the Slade School of Art. He has resided in Ireland for the past 20 years and has exhibited internationally since the late 70s, most often in London, America and Ireland. He is now represented in numerous collections both public and private, in Ireland and abroad; including AIB, Christies London, Morgan Grenfell, De Beers, Glen Dimplex, The Merrion Hotel and Mason Hayes & Curran Solicitors. Boyd's next exhibition, '8 positions from a game of Tlön Uqbar' will open with a reception Thursday 12th November 6-8pm. Exhibition will run 13 November- 5 December. Image: Kelly Ratchford, 'Yer Waans' (close up view), acrylic, ink and charcoal on 9 ready-made matchboxes, framed in a perspex box measuring 34 x 28 cm x 4 cm.